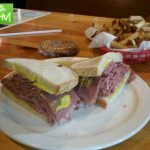 Bronx Deli Pontiac Review – Pics, and menu info for The Bronx Deli in Pontiac MI which claims to have the best corned beef this side of the Bronx. We had to try it. The interior of the Bronx Deli Pontiac is cozy, warm and inviting. The perfect atmosphere for either family fun or fun date night. They’ve got oversized booths, which I love, along with a flat screen TV at each large booth (with remote) and upside metal pails for light fixtures. The Bronx Deli appreciates that some of us are on a short lunch hour, so they provide quick and friendly service. Additionally, they offer an “order ahead” option – call, fax, e-mail or online. Plus if you order and pay online a can of soda will be free (see website for details). 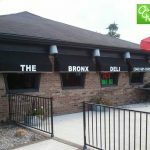 You can also join the Bronx Deli Pontiac VIP club online. There you can keep track of your favorites for easy ordering, receive coupons and other discounts, and make it easier to place online orders. 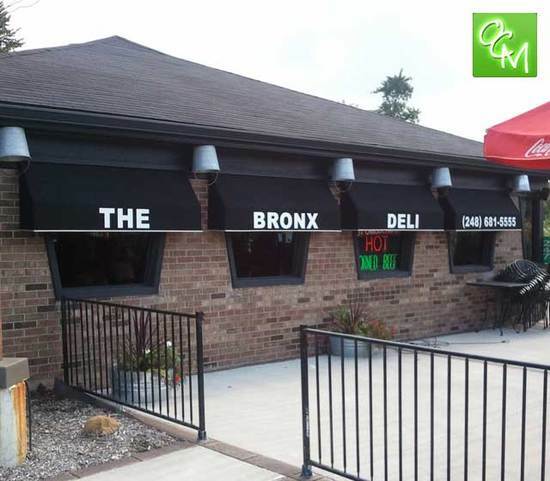 The Bronx Deli menu is a simple two sided piece that is loaded with the favorites. It’s not overwhelming and overloaded with fluff, which makes it easier to sift through the sandwich descriptions and pick out what you’d like. 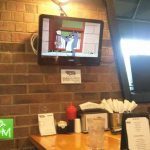 They also offer salads, soups, desserts, kids meals (two options), and drinks. 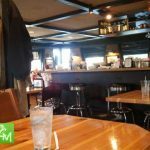 I was surprised to see the alcoholic drink selections – wine, beer, and mixed drinks. Also, you can find some Detroit beers on the Bronx drink menu such as Bad@ss (Kid Rock), Detroit Lager, Detroit Export, Detroit Dwarf and more. 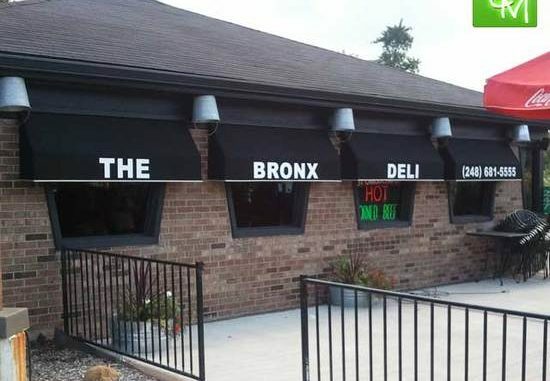 In fact, the Bronx Deli uses Michigan products for their menu items whenever possible. The food at the Bronx Deli was impressive. Sizes were very generous. I ordered the small sized portion of my sandwich and I thought the waitress got my order wrong since the sandwich seemed pretty large to me. Same goes for the supposed small order of fries that feeds 2+. 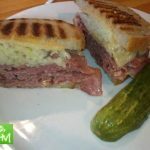 The pickles were crisp and fresh, the meat is piled high, and there are several breads to choose from for your sandwich – rye, white, multi grain, panini, Italian sub bun, and onion roll. Kids menu meals are affordable and you get a choice between two sandwiches – meat and cheese, or grilled cheese. Each comes on white bread, with a cookie, and a Capri Sun.